The birds of the John James Audubon Center are migrating to another nest this spring. But, don’t worry, it’s not very far from their old one. Their new home, the Raptor Building, is just down the path on the same property as the space the bird ambassadors were previously sharing. This one, however, has running water, and heat. Constructed on the site of an old torn down shed, the facility also includes indoor cages, and space for employees to care for the birds. The birds’ enclosure will be completed by summer, and they will be migrating over there at that time. 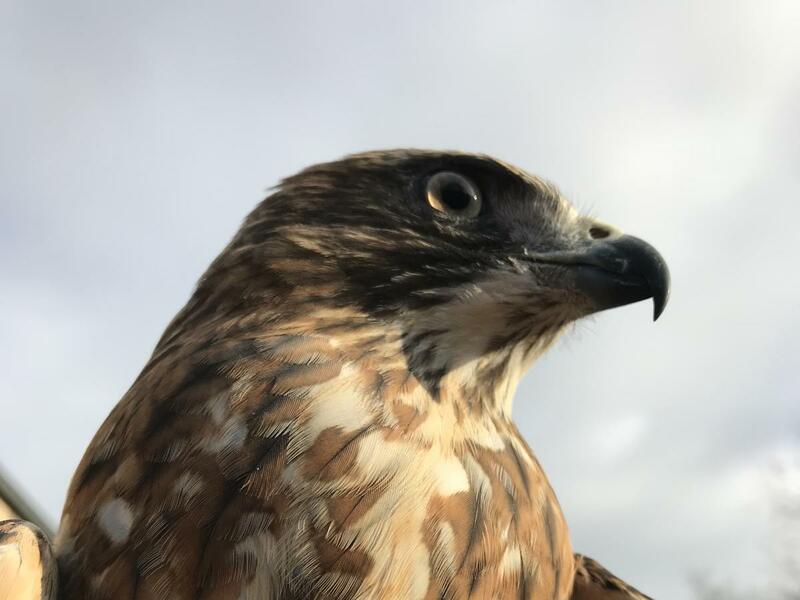 The raptors, or birds of prey, are: two Screeching Owls (Scooter and Oscar), one Barred Owl (Sherlock), one Great Horned Owl (Oden), and a Broad-Winged Hawk (Hopper). 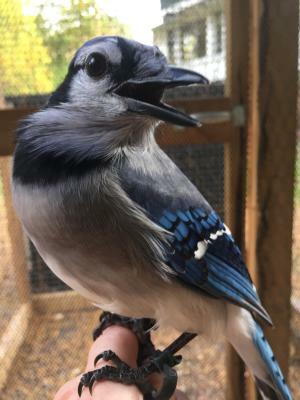 Only one of the birds, the Blue Jay, Conrad, is not a raptor. They have all been injured and rehabilitated, but can’t survive in the wild. So, they’re housed at the center for educational purposes. 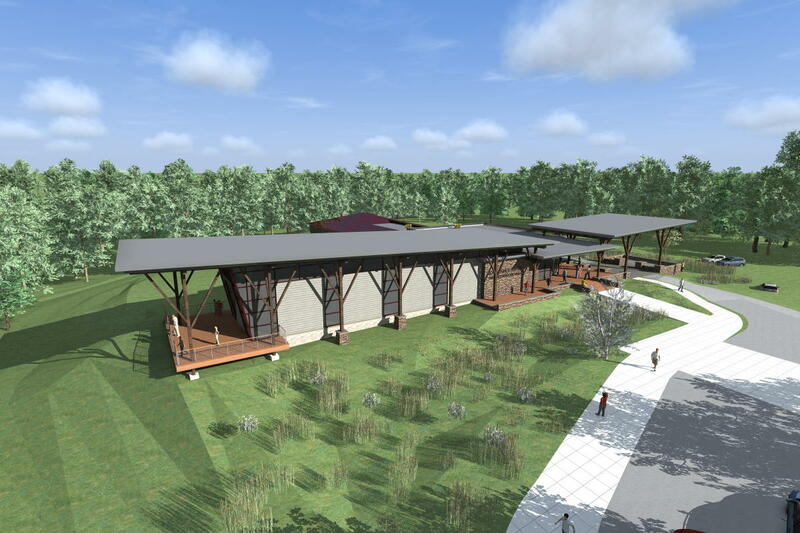 The six feathered friends will be flocking to their new nest together when the center reopens this summer after a winter filled with construction on their new home, as well as work on the new 18,000-square-foot visitor center and museum. The reopening will be the second of what will be a total of three times the center reopens after renovations to the property. The house and barn were renovated between 2015 and 2016 before reopening last year. The $16 million visitor center and museum will open in the spring of 2019, and will feature: larger space for art, a theater, offices and classrooms, and a new gift shop. 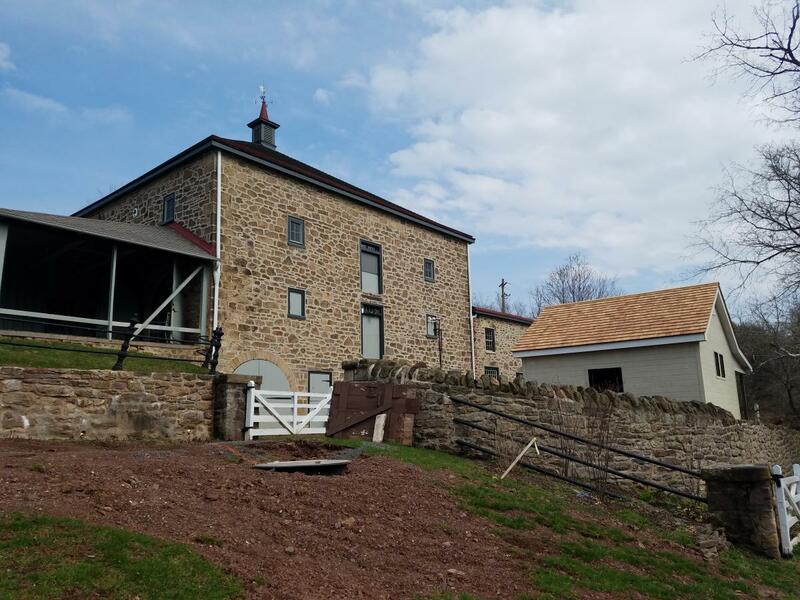 A public/private partnership between Montgomery County and the National Audubon Society, the center is the first American home of John James Audubon, and celebrates his artistic and scientific legacy. Built in 1762, the small museum houses all his major works on paper, several original oil paintings, and a gift shop. The project is being funded by the county, the state and dozens of individual and foundation supporters. The more than 200-acre area, which includes trails, is also being surveyed to replace some of the trees with more native species that will be healthier for the birds. Museum exhibits will highlight a closer look at birds, their feathers, eggs, nests, and flight, the sounds of the forest, and conservation. The theater will have a short movie depicting the life and journey of Audubon. Outside, there will be a bird-watching porch over a wildflower meadow, and a trail/play area for kids. A popular spot for weddings, the center also hosts a free annual juried art show April 14-28 with paintings, sculptures, and photos for sale.